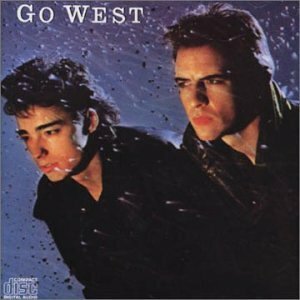 Go West is an English pop duo, formed in 1982 by lead vocalist Peter Cox (born 17 November 1955, Kingston, Surrey, England); and rhythm guitarist and backup vocalist Richard Drummie (born 20 March 1959, Twickenham, Middlesex, England). While they have had many successful singles in their native United Kingdom, they are generally best known in the United States for their hits "King of Wishful Thinking" and "Faithful". On 16 October 2009, Cox was announced as the new lead singer with Manfred Mann's Earth Band. Go West had a publishing deal and possessed a portastudio, but lacked a band or recording company. Cox and Drummie decided, with support from John Glover, their manager, to find a musical producer, and record just two of their songs. The tracks "We Close Our Eyes" and "Call Me" found Go West landing a recording contract with Chrysalis Records. Upon confirmation of the Chrysalis deal, they recruited British guitarist Alan Murphy, whose contributions became a key ingredient in shaping the band's musical identity.